A Digital Detox - Has Your Family Tried It? A Digital Detox – Has Your Family Tried It? One of the questions we get asked most by parents when we speak with them at seminars in their schools or at our Parents Crash Courses focuses on ‘ how much time is too much time online and how to manage this?’ At a time when there are so many digital devices available and children are spending an increasing amount of time online, managing this can undoubtedly be a challenge. At Zeeko we encourage using the approach of active mediation and using negotiation when communicating with children about their use of the internet. This type of mediation can be used in relation to what children are doing when they are online and how much time they are spending online. Active mediation essentially means making sure that your child knows they can come to you to discuss what they are experiencing online without fear of punishment. Obviously, where the amount of time being spent online is a concern this is a little more challenging. Role modelling is a great way to start the conversation about spending less time online. If your child see’s you and other adults in their life, spending a reduced amount of time online, they may begin to reflect on doing the same. 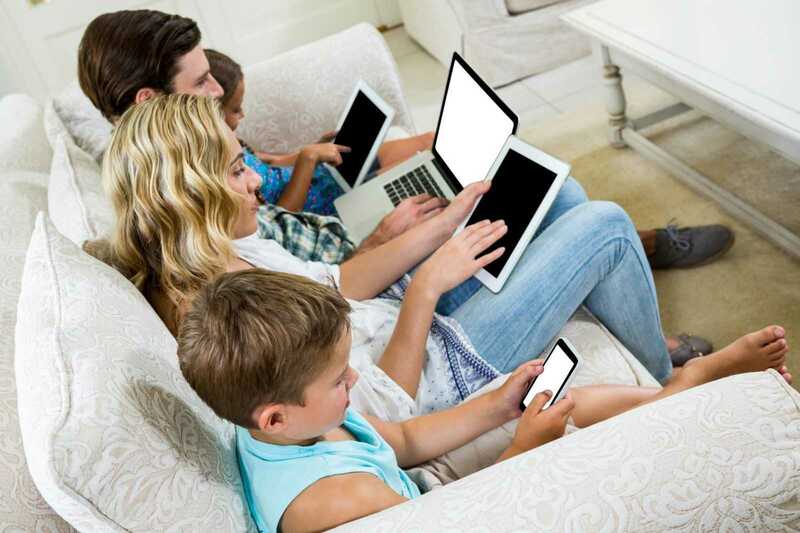 Also, sitting down together as a family and deciding that for a period of time each week or over the weekend that everyone, adults, teens and younger children will spend time offline is another way of encouraging a healthy online/offline balance. All digital devices should be turned off at least one hour before bedtime. For every one hour spent online children should spend 5 hours doing real world activities. Remember that time spent online can be on a number of devices, for example on smartphone tablet or laptop, not just on one device. Remind your child that talking to their friends online is not the same as communicating with them in person and encourage face to face communication minus screens. The fact is that the world is becoming increasingly digital, in a few years even the most basic skills will more than likely be digitised. Learning to be able to literally switch off from the digital world is an invaluable skill for everyone to learn, particularly children. We regularly update our social media channels with information about helping children to stay safe online. You can follow us on Facebook, Twitter and LinkedIn.